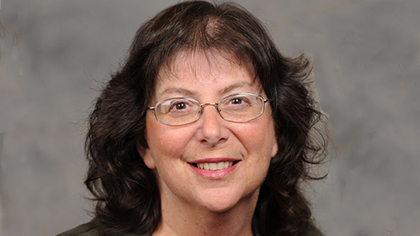 Erica Weintraub Austin (Ph.D., Stanford University, 1989) has been Vice Provost for Academic Affairs since 2013. From June of 2015 to June of 2016 she served as Interim Co-Provost. She has also served as Director of the Murrow Center for Media and Health Promotion Research in the Edward R. Murrow College of Communication. Dr. Austin is internationally recognized for her research and outreach on how media literacy and parent-child communication about media contribute to decision making about health and civic affairs among children, adolescents and young adults. She has served as an advisor to the Washington state and federal government and to organizations nationwide on media literacy issues and health communication campaigns. The American Academy of Pediatrics has cited her research in multiple policy statements about the health effects of the media on children and adolescents. Dr. Austin led the Murrow School of Communication to College status and served as its inaugural dean. She also established and led a research consortium that earned formal university recognition as a research center in 2010. She was awarded the 2001 Krieghbaum Under-40 Award from the Association for Education in Journalism and Mass Communication and the Samuel H. Smith Leadership Award from Washington State University in 2008. Dr. Austin has served as PI, subcontractor, or consultant on media literacy and campaign design/evaluation projects funded by the U.S. Department of Agriculture’s Agriculture & Food Research Initiative, the National Institute on Alcohol Abuse & Alcoholism, the National Institute on Drug Abuse, the Robert Wood Johnson Foundation, the Alcoholic Beverage Medical Research Foundation, the Washington State Department of Health, and the Washington State Division of Social & Health Services. She has taught courses in public relations, health promotion and communication campaigns at Washington State University since 1989.